Phonon-assisted Auger recombination is the most likely cause of LED droop, according to a partnership between Osram, Philipps University Marburg, and the University of Arizona. The tunable wavelength laser business has become overcrowded according to the French InP fab, as its former owner Avanex closes a center working in this market. Accelerating the GaN chip ramp for LED luminaires, Zumtobel and Cree's collaboration is looking to quickly expand on its 50,000 annual sales target for downlights. "Electron overflow" contributes to the decrease in efficiency at high currents, according to experiments on LED test structures with an additional quantum well. The massive Smart Lighting center looks set to receive up to $50m in its first ten years from government and industrial backers. 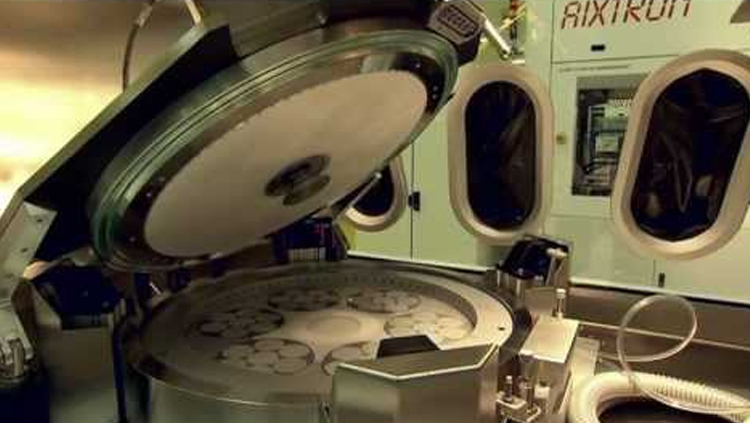 The Japanese firm has made a 450 mW laser for the Blu-ray recorder market, where diode power is closely related to market share. Industry group calls for urgent commitment from the European Union and individual governments to six recommendations outlined in its white paper. A new class of InP photonic systems for fixed-frequency millimetre-wave applications could be used in radar, instrumentation and communications. With its share price in free-fall and the Nasdaq threatening to de-list its stock, the semiconductor equipment firm Aviza Technology re-negotiates a loan deal at a higher interest rate. The Japanese non-polar substrate pioneer unveils plans to scale to 2-inch material, and teases customers with the promise of a revolutionary, low-cost, growth method. The first simulator for concentrator photovoltaics, which predominantly use compound semiconductor cells, aims to speed up module testing. The superior physical properties of SiC are helping US semiconductor manufacturer Microsemi to increase the range and amount of information derived from aerospace radar. The Solar America Initiative bankrolls the foundry to develop â€œbifacialâ€ GaAs cells, while SolFocus and Microlink Devices continue to be funded for their III-V based technologies. The solar system maker urges III-V cell companies to up their game, after its technology qualifies for more financial incentives and shows good results at a pivotal test installation. Sapphire wafer sales will reach $400m by 2012 across LED and RF applications, predicts Yole Developpement, but in the meantime prices are likely to be volatile. The Japanese electronics giant says a new efficiency record for UV emitters, based on technology it has previously used to make blue laser diodes, will help LED lighting. The SiC growth specialist is rescued by a consortium that has been watching the power semiconductor industry and has a history of long-term investments. A method that introduces silicon impurities as boron and nitrogen atoms are deposited could produce the most robust semiconductor devices yet. GreenVolts bags another $30 million in venture capital, while installations using SolFocus' concentrator technology get approval to receive the Golden State's financial incentives. Redesigned contacts have added more than 2 percent to Fraunhofer ISE's conversion efficiency, with optimal performance at solar concentrations used in commercial systems. Innovative molecular beam epitaxy and chemical vapor deposition processes are central to the development of graphene transistors in a DARPA project led by HRL Laboratories. The transfer of the MBE business â€“ and particularly the rights to provide after-sales support for installed reactors â€“ looks to suit both tool makers' ongoing strategies. The semiconductor giant reveals its release schedule for high-volume production of GaN-based power management devices. A government-backed LED project produces crack-free GaN-on-silicon epiwafers with an internal quantum efficiency of 40 percent.